I doubt that very much. 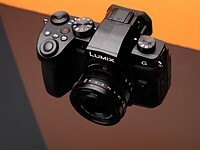 The need for more megapixels is an important factor in the carefully nurtured culture of the NEX-HUMP forum, and 16 mp may really be sufficient for an APS-C sensor. Uncrowded larger pixels mean less noise than for example, a 16 mp sensor in an M43 camera.